On Saturday 9 September, a team of staff members from NSG completed the Lake District leg of Born Survivor to raise money for NSG’s chosen charity Derian House. 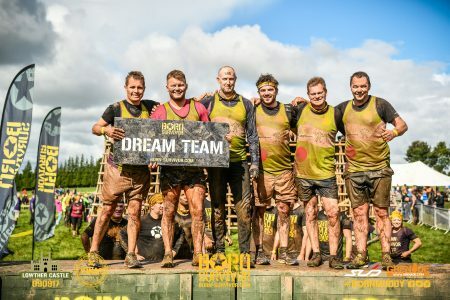 Set in the grounds of the picturesque Lowther Castle and Gardens near Penrith, #TeamNSG completed the 10km obstacle course in just over two hours. So far, the team have raised almost £600 for Derian House, smashing their target of £300.